Sometimes it is hard to express yourself when your emotions are overwhelming. You don’t know what to say – or how to ask forhelp when you feel bad. This can be exponentially harder for kids who are in the hospital, likely battling physical sickness as well as emotional confusion. Art is a natural form of expression for all ages and can be a vehicle to express those confusing inner feelings. 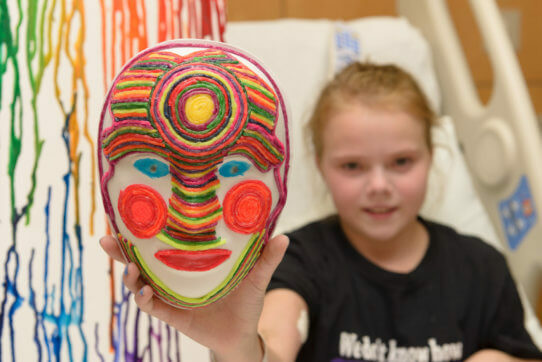 The Indiana Design Center is proud to support the Art Therapy program at Riley at IU Health through the 2019 LUXE Design Showcase ticket sales and highlight the powerful connection between art, creative expression and healing. The Art Therapy program provides mental health counseling through expressive experiences that promote emotional health and physical healing. 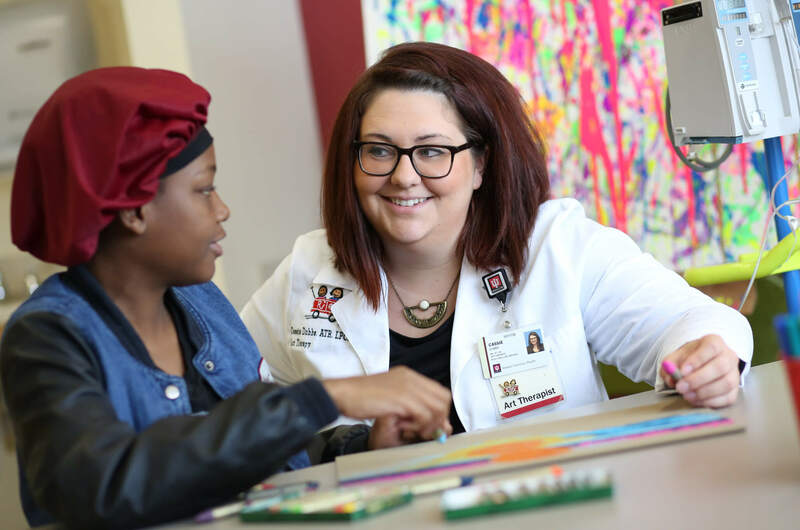 Two master-level Art Therapists at Riley at IU Health help children process and work through difficult emotions in a creative, healthy way. Art therapists create unique programs for each patient to ensure they are healing both emotionally and physically through their hospital stay. Feelings about illness, medical treatment or traumatic experiences can all be expressed through the creative process. “We are very fortunate at Riley Hospital to work in a culture that supports the mental health needs of our patients and families and acknowledges the importance of our work as part of their medical journey. Every day we get the honor of getting to know our Riley families through the intimate relationships we form with them. Art-making provides endless therapeutic benefits; but what is special about art therapy is the relationship and the bond between the therapist and the client,” says Cassie Dobbs, Registered Art Therapist, Riley Hospital for Children. 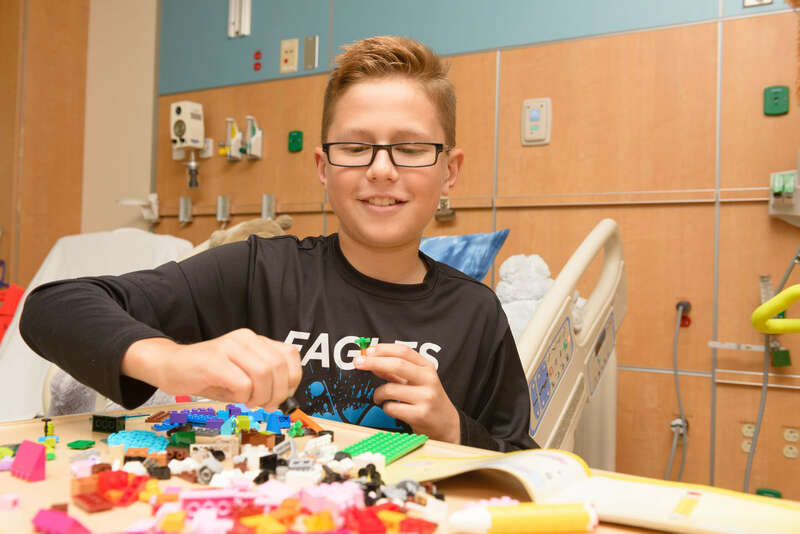 The program is completely funded by generous contributions from the community through the Riley Children’s Foundation, allowing Riley at IU Health to provide assessment, mental health counseling and treatment to children and adults of all ages at no cost to our patients and families. “We cannot express our gratitude enough to our generous donors, as their support provides two full-time Art Therapists at Riley. Our program is 100% donor funded. Their support truly makes a difference in the hospital experience of our children,” says Dobbs. We hope you will join us for LUXE 2019 to help support this wonderful cause! Purchase your tickets today. Art therapists use the creative process to increase positive coping and problem-solving skills among many other benefits.